Here’s a warm climate white with all the right credentials for this time of year. 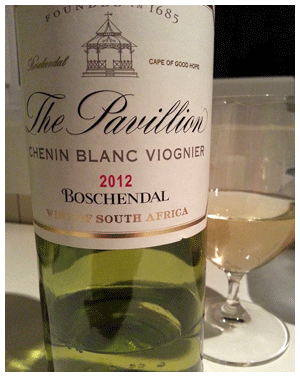 Bischendal’s Chenin/Viognier is neither light nor rich, neither seriously dry nor flowery sweet. The experience is of a pleasant house wine – more cheerful than Pinot Grigio, and a little different. Last but not least, the price is perfect. Previous articleNo Corkscrew? No problem!